Members can use this page to post upcoming events, articles, etc. Please ensure that your post is workplace learning focused. Email your completed form to mail@astdsac.org by 5:00 p.m. PST on Monday, October 15, 2018. Yes. You just need to complete the appropriate forms and email them to mail@astdsac.org by 5:00 p.m. PST on Monday, October 15, 2018. ATD Sacramento Board Members will reach out to the listed contact for submissions by no later than November 16, 2018. Winners will be recognized at the Champions of Leadership Awards Dinner on December 5, 2018 at the UC Davis MIND Auditorium. All winners will receive a Champion of Leadership Award plaque and a press release kit for immediate publication. The awards ceremony is on Wednesday, December 5, 2018, 5:30 – 8:00 p.m., at the UC Davis MIND Auditorium. Recently, I was asked to help an organization implement a culture change (their words). Since I have been doing this for a while, I have come to find that many organizations do not understand the depth, commitment, and time it takes to conduct a true change in culture. Prepared for the over the moon desires, I developed some questions for the executive team to answer in our initial meeting in an effort to drill down to items that were more tangible. When I met with the firm’s executive leadership, I asked the team what their desired outcomes were and what they saw as the best approach to achieve their desires. As I have seen time and again, they used lofty words such as "trust, great place to work, and better communication" (among other shallow phrases), as what they thought was needed to produce the organizational culture they wanted. Understanding that I was hired to "coach" the executive team, in addition to assist in the culture change, I began to ask questions that would define what success looked like. "Define great place to work. How will you measure an improvement in trust? What are current substandard communication practices?" Keeping as their coach, I asked the executive, "why did you hire me?" His response, to change our culture. "You’re the expert. You tell us what a great place to work looks like. You tell us how to improve communication." The other leaders shook their head in agreement. At this point, the writing was on the wall. It was clear, the executive team did not want to change their culture. They wanted to pay someone else to fix their culture for them. So I asked the team, "how bad do you want to change your culture?" The President responded, "it is the most important item I am working on. It is at the top of my list of things to do." I said, "Great! How will you know when you can remove culture change from your to-do list?" His response, "when you and I decide we’re good." After an hour or so, we broke for lunch. I scheduled a follow up with the president and we agreed to put the culture change evolution on hold. There is no question that in order for an organization’s social norms and behaviors to change, leadership must lead. The term leadership suggests that very fact. Yet, many times executives hire a coach or consultant to implement a program that will help employees be a more cohesive group. “We’ll pay you to tell our employees what they need to do.” This strategy will never work and in fact will create at least two more ripples in the undesired culture. First, employees will learn new norms that will be unfamiliar to management. This will cause more frustration with the already upset frontline. Second, by leadership not participating, they are demonstrating that they themselves do not understand where they fit into the organization’s culture. All levels of leadership must be committed in a culture change. Leadership cannot delegate responsibility and accountability. On numerous occasions, a firm will hire a coach to do the organization’s dirty work. Whether it be a problem employee or underachieving executive, some firms hire a coach to “fix” behaviors and leadership gaps that should have been identified early in an employees tenure, if not during the hiring/promotion process. This is an avoidance strategy. If an individual or group is underperforming, the leader is to be accountable. The failure to hold the leader accountable coupled with poor performance of the individual or group s/he oversees is often a main contributor to the undesired culture. Leadership is often their own worst enemy. An organization’s culture is ever-changing. It is comprised of personality, emotion, ability, and attitudes. These aspects are very fluid and can change instantaneously. If an organization sets a target on “way of being” then that organization is trying to hit a moving target and will never be successful. When an employee understands his/her accountability, commitment, and purpose they will contribute at a high capacity. The understanding of self-purpose is the key employee engagement. Once that is understood, there is no need for fancy pictures and motivational posters. Pull back the emerald curtain and take a reflective look at 2017. I encourage all Talent Development Professionals to turn an eye inward and reflect on well, the good and the not so good from the past year. Reflecting is a meaningful way to help us reframe going into 2018 with a positive momentum. Consider these thoughtful questions below to encourage some self-introspection. Did any event in the past year challenge or call into question your values? What is the most significant question you have avoided? What is one piece of “unfinished business” for 2017? What skills or strengths do you want to use more of in 2018? At the end of 2018, what do you want to have more of? We each have our own yellow brick road to travel, our own story and journey, on this wonderful road called ‘life’. Our journey is often challenging and engaging, with an occasional fork in the road or even road block that gets in our way. ATD Sacramento Chapter invites you to create your own path. Find your skill, embrace your strengths, and engage with our amazing community of Talent Development Professionals. Both sessions were very well attended, and we both received a lot of positive feedback from other TD professionals. If you think you’d like to be involved with volunteering for the chapter, we’re always looking for people to help with programs (helping at events with various tasks) and membership (making phone calls welcoming new members). Please email our chapter at mail@astdsac.org to express interest or find out more information. We look forward to an exciting 2018 with you all. We are all busy, but we can’t afford to stop learning. As a training professional, you are acutely aware of this. With this in mind, read on for five ways to learn more about Nudging and how you can use this new science-based method to influence, persuade, or nudge your training participants to take positive action. 1) What if you have only 11 minutes to spare? Check out this short (11 minute) YouTube Video, “Influence: The Secrets of Persuasion”, from Robert Cialdini about six ways to influence or persuade. Cialdini is often referred to as the “Godfather of Influence” for his long involvement in the field and impact on how businesses and public organizations seek to influence others. Cialdini has sold over three million copies of his book, Influence: The Psychology of Persuasion which has been on the New York Times bestseller list many times and won numerous awards. His six principles of persuasion are presented in this short video. In his new book Pre-Suasion (2016), he introduces even more nudging concepts. I recommend his books as well, but even with 11 minutes of your time you will get a great introduction to the power of persuasion or nudging. 2) How about 30 minutes for a few short reads? I’m going to give you a bonus here. Instead of one article, I’m going to recommend three and you can choose where to spend your 30 minutes. a) Consider this short article from the New York Times that introduces you to Nudging and the authors of the book “Nudge”. The article starts with a nudge example that will be hard for you to forget! b) If you want to dig just a bit deeper, this article from Deloitte (the global consulting group) will give you plenty to think about. In “HR for Humans: Welcome to Behavioral Economics - The Power of the Nudge” they discuss the impact nudging can have within an organization’s HR Department. c) Finally here is a meaty 47-page report from the government, but it has an easy to ready five-page (30 minute max) executive report. This is the first annual report from the Obama administration’s “Nudge Brigade”, or more formally known as the Social and Behavioral Science Team. They were tasked with conducting fourteen full-scale proof of concept nudge experiments, rigorously testing them, and reporting the results. If you have any doubt about the power of nudging, this will open your eyes. Have you ever experienced a MOOC (a Massive Open Online Course)? A MOOC is an online course (in this case a free course) taught by experts in the field. MOOCs include video, text, and many extra materials. EdX’s course, “Behavioral Economics in Action” is asynchronous (anytime in or out) and is taught by Dilip Soman, author of The Last Mile: Creating Social and Economic Value from Behavioral Insights. Go to www.edX.com, sign-up (free) and search for “Behavior al Economics in Action”. Of course you can’t take the entire course in 60-90 minutes, but you can explore the course. 4) Would you spend three to six hours if you could radically improve the results you get from your training interventions? The three books that follow are based in solid science and field-tested results. Nudge: Improving Decisions about Health, Wealth, and Happiness; Thaler and Sunstein; This is the book that made Nudge famous. It is a good place to start, if you want to gain a more in-depth understanding of nudge or choice architecture. Thaler and Sunstein continue to be the go-to consultants and academics (nationally and internationally) in the field of applied behavioral economics. Inside the Nudge Unit: How Small Changes Can Make a Big Difference, David Halpern; This book is the definitive explanation of the British Government’s efforts with Nudge. They originated the E.A.S.T model, a widely used model for nudging and now travel extensively in the US and internationally training cities, states, and other organizations how to nudge. Thinking Fast and Slow; Daniel Kahneman; Do you have a lot of time on your hands? Want to take a deep dive into Behavioral Economics with the world’s recognized expert? Kahneman is the 2002 Nobel Prize winner in economics who, with many others, developed the theory of behavioral economics (the scientific basis of nudging). The award winning and best-selling book is full of solid advice and scholarship, but it is a bit of a slog at over 500 pages. 5) Give nudging a full-day! You won’t be sorry. If you are willing to devote a day to nudging (in the company of 25 other training professionals from Sacramento), consider the upcoming one-day ATD Sacramento workshop. You will be joining a group of other forward-thinking, empirically-minded, and action-oriented talent developers. “Influence, Persuade, Nudge: Master the Science of Getting People to Take Action” on Friday, August 25 2017 at 1410 Ethan Way, The Los Rios CCD’s Workforce and Economic Development Center. This hands-on full-day workshop is another in the Fundamentals for Training Professionals Series. The workshop is led by Bruce Winner, Custom Training Manager of the Government Training Academy, LRCCD. Bruce conducted a two-hour Nudge workshop for a sold out crowd of over 60 people in Nov 2016 and the crowd asked for a follow-up. Here it is! Nudging at its simplest is defined as the science of getting people to take action. Nudges are a means to influence your trainees to take positive action. Nudging is a flexible way to increase the chances of your training resulting in behavioral change or that as your training participants return to the workplace, they apply their newly learned skills. Would you like to know one of the most effective, and yet surprising, times when trainers should use nudging? It’s a time that many of us in training ignore. The time is after our design and development, before our training even starts! Before your training begins, consider using “priming”. Priming is exposing someone to a stimulus that will ultimately make them more receptive to your following effort(s) to persuade them. Robert Cialdini, one of the most frequently cited behavioral scientists in this field, refers to priming as “pre-suasion”. In his recent book Pre-suasion: A Revolutionary Way to Influence and Persuade, he describes the flexibility and utility of this powerful behavioral science technique. Cialdini refers to this time period before our persuasive efforts as a “privileged moment for change”. During this privileged moment, we can prepare people to be receptive to a message before they experience it. There are many examples of priming that have been proven effective in laboratory settings. Priming has been used in tests to increase individuals’ honesty in response to questions, to boost their attention, and even make them act as if they were years older or younger than their natural age. Though these lab examples are interesting, my favorite examples of priming are those that take place in the real world. For example, the following priming experiment was conducted in a supermarket, where people made actual decisions and paid real money for their choices. In the test, a display of French and German wines were side by side in a supermarket display. For several hours of the day French music would play and at other times German music would be piped to the consumers. When French music was playing, 70% of the sales were of French wines. When German music was playing, 70% of the sales were of German wines. When randomly selected guests were asked if the music playing influenced their selection of wines, the overwhelming majority of the shoppers responded, “What music?” Priming works! It works in the lab and the real world, but it is generally invisible to those who are influenced by the priming. When we use this technique in my training practice, we use a modified coaching technique borrowed from Nick LeForce, NLP master-coach. The method directs participants to cup their hands, as if they were physically holding the question posed to them. This priming technique appeals to their emotional brain, by allowing participants to craft an internal priming message for themselves. We ask them to listen to the entire session while determining what is in it for them. (Trainers often refer to this as the WIIFM, or the acronym for What’s In It For Me.) For some participants the WIIFM may be a promotion, for others a raise, and some may imagine a boost in productivity and the recognition they will receive because of it. Then we ask the supervisors to hold a similar question. The goal is to get the same level of support from supervisors as from the participants. As trainers, we know that the supervisor’s endorsement is often the key to the participant’s application of training back on the job. After they ask themselves this priming question, supervisors are more likely to view the training as a means to help themselves. For some supervisors their goal may be a more productive employee, for others a more engaged one, and for some it could be an employee who makes fewer mistakes and thus takes less of their (the supervisor’s) valuable time. In both cases (participants and supervisors) we have primed them using the most effective arguments available to pre-suade them. We have used their own arguments, their own vested interests, their emotional brains, their WIIFM. Priming, like all nudges, is designed to overcome our cognitive biases. Priming is a proven method of overcoming the “status quo bias” or more colloquially, our adversity to change. Most people (employees or supervisors) are content to accept things the way they are. Unless nudged, your trainees may be reluctant to learn new ways of doing things and their supervisors may be reluctant to let them try new tools or techniques. Priming will prepare your students to be more receptive to your message in the classroom and with the supervisor’s support, boost post-training application. Watch for an upcoming blog where we will explore how to nudge trainees during and after training. You can find out more about these nudges and how to use them to boost your training results at an upcoming ATD Sacramento workshop. Influence, Persuade, Nudge: Master the Science of Getting People to Take Action. Friday, August 25 2017 at 1410 Ethan Way, The Los Rios CCD’s Workforce and Economic Development Center. Click here to learn more about the featured workshop. October 2017 Speaking Opportunity: StrengthsFinder Practitioners! 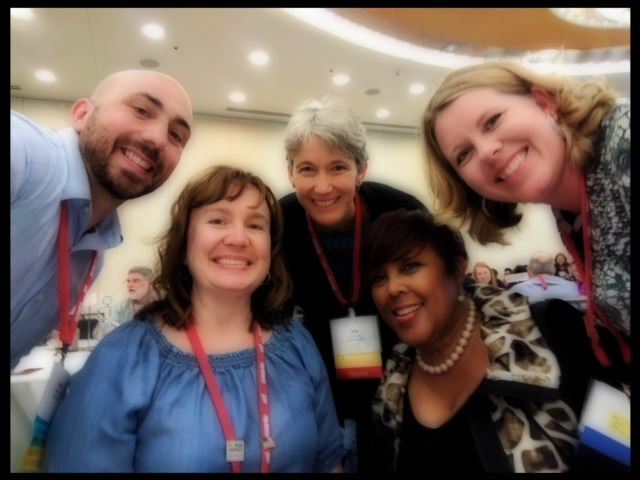 Calling all ATD Sacramento Members! Are you Strengths-Certified? We are looking for Gallup-Certified practitioners of StrengthsFinder 2.0 to share best practices at our October 20, 2017 ATD Sacramento program! The lunchtime session at CalSTRS in West Sacramento will be a panel discussion and interactive session. NOTE: Preference will be given to ATD Sacramento and/or National ATD Members. Not a member yet? Join at www.tdsac.org! Please submit your proposal to present using the speaker form available on the ATD Sacramento website under "Events", "Speaker Proposals" no later than Friday, August 11th!